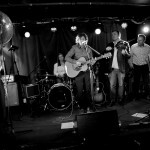 A night celebrating the release of Ady Johnson’s second album London Songs. 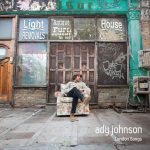 Ady Johnson is a seasoned musician who’s infectious songs and passionate, consummate live performances, continue to win him plaudits from critics and audiences alike. Ady draws upon blues, folk, soul, Americana, pop and rock, to fuse a unique, contemporary acoustic style. Since his first notable solo gig in 2010 at BBC 6 Music’s 6 Fest, Ady has supported a wealth of artists; including Lisa Knapp, Ben Howard, Willy Mason, Matt Cardle and Adam Ant. 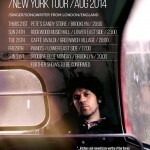 Tours include his 2014 New York Tour and last year’s UK tour support for Ivor Novello Award winning Scott Matthews. Ady’s debut album Tell the Worry Dolls received critical praise from R2, BluesMatters and Press Association. Tracks were chosen for two iTunes Essentials compilations. His Thank You for the Good Things EP also received glowing reviews from Americana UK and other online reviewers. The EP made London’s Resonance FM’s Top 5 EP’s of 2015. Ady has received both national and regional airplay. Songs Thank You for the Good Things and the single New Year’s Day were both chosen by Tom Robinson for his BBC 6 Music Mix Tape and aired on his show. London Songs brings together a collection of songs inspired by people, places and personal experiences, since Ady moved to London. Produced and mixed by Gerry Diver (Tom Robinson, Lisa Knapp, Sam Lee), this dynamic acoustic album presents songs ranging from intimate vignettes, to full-band Waitsian stompers. 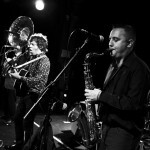 Ady will be joined on the night by his band and musicians who contributed to the album: Toby Bull ~ trumpet, sax & P-bone, Tom Briers ~ bass and sousaphone & Pete Flood (Bellowhead Oysterband) ~ drums. With guest musicians including David Rothon on pedal steel and Brendan McAuley. Support comes from Kal Lavelle and James Hodder. Kal Lavelle is an Irish born singer songwriter, now living in London. The Sunday Mirror have listed her as a ‘One to Watch’ and Ed Sheeran brought her on tour in both the UK & Ireland. 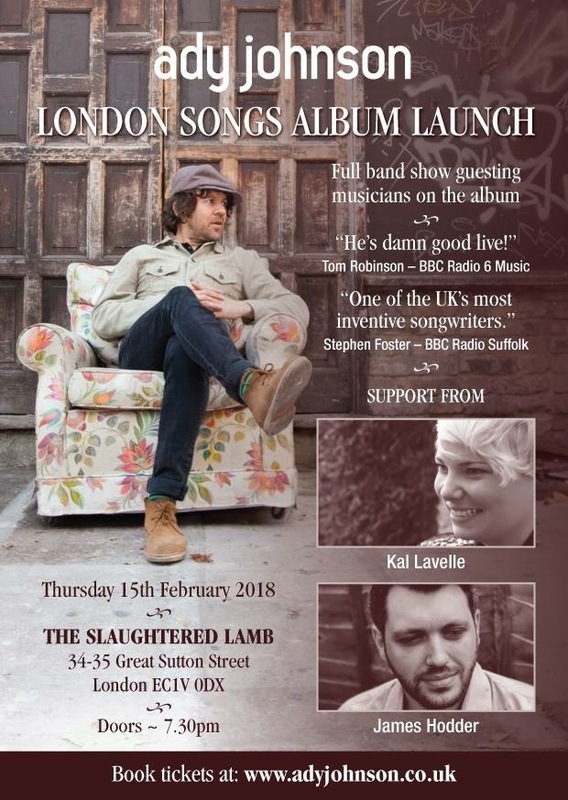 Kal Lavelle’s EP ‘Shivers’ went Top 5 in the iTunes ‘Singer Songwriter’ Chart, and the single was named iTunes ‘Single Of The Week’ in the UK (downloaded more than 60,000 times!). Additionally, she entered the Top 10 singer songwriter charts in Japan, Netherlands and Belgium. Kal’s track the ‘The Ocean’ features on the UK playlist of Pret A Manger, the song also features on Perez Hilton’s POP UP #2 Album (released in the USA & Canada). Perez describes her music as “Exquisitely beautiful & raw”. Watch out for her new album, which is due for release in 2018. Previous supports to – Ed Sheeran, Bastille, Paper Aeroplanes, James Brown & more. 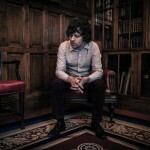 James Hodder is South London based troubadour who fuses Folk and Americana influences with bittersweet lyrics and storytelling. 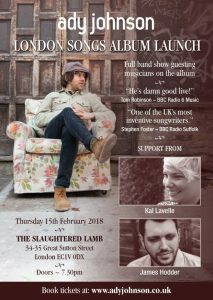 His debut album ‘In The Beginning’ was released in September 2017 which was described by BBC Kent Folk as “songwriting at its best”.